We’re on a mission to enable organizations to make smarter operational decisions using math and science. Artificial intelligence wasn’t invented last week. Linear regression, the forefather of deep learning and A.I., was invented more than 200 years ago. So, why isn’t A.I. delivering better business results? Our A.I.-powered technology is different; it uses reinforcement learning to deliver exceptional financial results: higher profits and sales and outstanding ROI. To us, A.I. is intelligent autonomous systems, not algorithms. Autonomy is stable, trustworthy and demonstratable business performances from your most important processes. It’s technology that delivers an invisible but powerful competitive advantage. Daisy delivers decisions that drive higher profits every year. And we can prove it. We analyze 100% of your data and provide actionable recommendations that you’ve never had before to make decisions that make an impact. Simply put, Daisy sees what others can’t. For retailers, we can boost net income by more than 100% and total sales by more than 5% through pricing optimization, better promotional product selection, and more accurate inventory allocation. Banks and insurance companies can avoid tens of millions of dollars in fraudulent payments and assess risk more accurately with technology that makes investigations more efficient and successful. Based on years of R&D and work with top brands, our technology is unique; it continuously learns and adjusts its decision-making policies without human intervention. We call it “autonomous machine intelligence”: computers do the time-consuming heavy lifting. Daisy handles repetitive, relentless and complex work, allowing your employees to use their experience and expertise to do what they do best…make strategic and creative decisions to serve your customers. They do what machines can’t! In today’s data-driven world, it is now far beyond the capacity of humans to measure and optimize decision-making. Yet, the road to the humanly impossible is still driven by people – people like the team at Daisy. While we love our math and science, we pride ourselves on being fun and easy people to work with. We love our clients. For our team, no business challenge is too big when there’s a mountain of data to scale. Gary Saarenvirta is Daisy’s Founder & CEO, leading the company as it builds an A.I. platform that transforms massive quantities of consumer data into profitable decisions. He is also a member of Daisy’s board of directors. 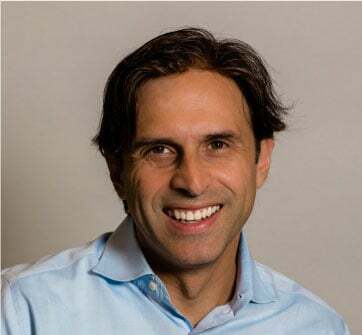 Maurizio is a technology sector focused senior executive, investor and investment banker with over 15 years of experience advising entrepreneurs and privately held corporations as well as management and boards of publicly traded companies. 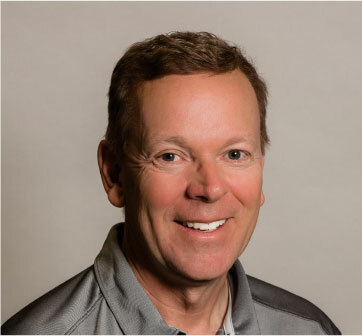 Jay Sweeney is Daisy’s Vice President of Sales and Marketing. He’s a sales and marketing technologist tasked with fostering relationships, building Daisy’s customer roster and brand through the execution of Daisy’s marketing strategy. Chuck is a senior business and technology executive with a rich background in IT & Business Operations in the financial services & retail industries. Gord is a human resources leader who thrives in partnering with growth-oriented, innovative organization that believe in, support and develop its people. Sina leads the R&D team focusing on four main areas: Big Data and Analytics, Artificial Intelligence/Machine learning, Parallel processing, and UI/Web development. While we love our math and science, we ‘re fun and easy people to work with. We love our clients. For our team, no business challenge is too big when there’s a mountain of data to scale. Lisa is a Senior Financial Executive and advisor with deep knowledge and experience in helping companies achieve strategic goals by solving complex business issues in both Canada and the US. Pat has extensive executive management experience defining, implementing, monitoring and achieving strategic plans and objectives having been immersed in data mining, analytics, and A.I. technology management since 1992. 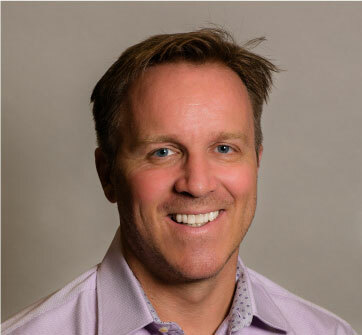 A former executive with Mattamy Homes, Palliser Furniture and Fidelity Investments, Paul launched his strategic services firm a decade ago working in organizational design, coaching, executive search and fractional HR services, specialized for private and family businesses. John has 30 years experience as a senior leader, innovator and investor in early stage technology companies. 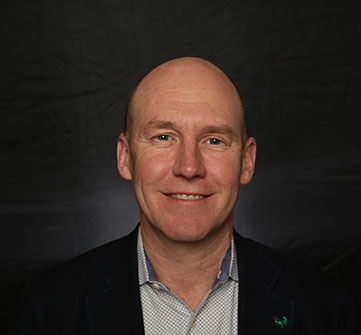 After a corporate career with Northern Telecom/Nortel Networks in the 1990’s, John co-founded several technology startups including the Teligence Group. Prior to founding Clariti Strategic Advisors, Rahul was an Operating Advisor with The Carlyle Group, a U.S. based global alternative asset manager with close to $200 billion of assets under management. Gary is Daisy’s Founder & CEO, leading the company as it builds an A.I. platform that transforms massive quantities of consumer data into profitable decisions. He is also a member of Daisy’s board of directors. François currently sits as Chair of the audit committee and director of Andrew Peller Ltd., a public company listed on the TSX. Also, board member and past Chair of GS1 Canada, a none for profit organization responsible to establish standard in many industries. In 2003, our founder Gary Saarenvirta, launched makeplain Corporation, which was best described as “a data analytics company.” Fast-forward to the beginning of 2016, when makeplain Corporation rebranded as Daisy Intelligence. This was an acknowledgment that even after more than a decade of success, we evolved alongside a rapidly changing data analytics landscape and we are now reaching new audiences. We love using complex math to solve real-world problems, so, naturally, we’re big fans of Fibonacci, who introduced what is widely considered to be math’s perfected sequence: the Fibonacci Sequence. This sequence can be found throughout nature such as in the number of petals and the number of spirals in the florets of a daisy flower. In 1961, the IBM 7094 was programmed to sing “Daisy Bell”: the first song sung by a computer. This song was sung again by HAL in the film 2001: A Space Odyssey. We especially like the first line of the song: “Daisy, Daisy give me your answer true” because it reflects what Daisy Intelligence strives to deliver to its clients: the facts. The name Daisy contains “A.I.” which represents our company’s artificial intelligence foundation. So it’s safe to say, there’s a lot of thinking behind our name. Recognized as “Cool Vendors in A.I. for Retail” by Gartner Inc.
Named “Best Startup” at The AIconics awards. Won $5-million funding prize at ElevateR Pitch: A.I. Edition. Named to Toronto 50 list of GTA startups to watch. If you’re an experienced consultant or retail integrator and have prospective retail or insurance clients interested in an A.I. solution, we’d love to hear from you. 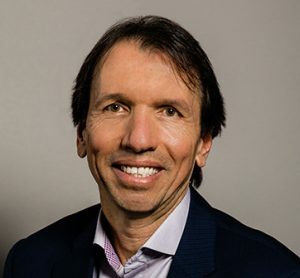 Gary, one of North America’s preeminent authorities on artificial intelligence, has over 25 years’ experience working with leading global corporations to deliver revenue and profit growth. He founded Daisy in 2003 to bring autonomous machine intelligence to clients in retail, insurance and healthcare. Gary was the former head of IBM Canada’s data mining and data warehousing practices. He was also at the helm of Loyalty Consulting Group, providing analytical services for one of the world’s most successful coalition loyalty programs, the AIR MILES® Reward Program. Gary holds both a B.A.Sc. and M.A.Sc. in Aerospace Engineering from the University of Toronto. Maurizio is a technology sector focused senior executive, investor and investment banker with over 15 years of experience advising entrepreneurs and privately held corporations as well as management and boards of publicly traded companies. He has advised on matters including divestitures, M&A strategy, acquisitions, joint ventures, debt and equity capital raising, take private transactions, strategic reviews and valuations. 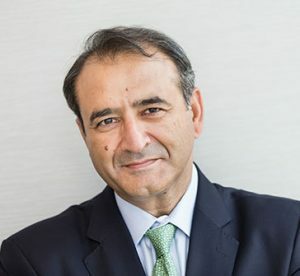 Throughout his career, Maurizio has worked for a number of investment banks and was more recently National Co-head of M&A Advisory and Corporate Finance for the Technology Media and Telecom sector for Deloitte Canada. A team leader with strong deal structuring and execution skills, Maurizio brings financial acumen and discipline, a creative mind to solve challenges, and extensive knowledge of investment and capital markets dynamics. At Daisy, his focus is on aligning business and financial strategy to shareholder value creation. Maurizio has an MBA from the Richard Ivey School of Business and a BComm (Hons) from the Catholic University of Milan. Jay joined Daisy with a strong sense of humour and 18 years in sales and marketing experience, where he held multiple leadership roles with Mercatus, Yahoo, and the National Football League, always driven by innovation and disruption.Jay volunteered with Easter Seals Ontario for 20 years as part of the Conn Smythe Dinner. He is a proud dad to 3 and is a graduate of the Ivey School of Business at Western, where he earned an MBA. Chuck is a senior business and technology executive with a rich background in IT & Business Operations in the financial services & retail industries. Throughout his career, he has demonstrated expertise in designing, planning, developing and implementing cutting edge IT solutions to help businesses take advantage of profitable growth opportunities; address and comply with strict, regulatory compliance regimes; and streamline and optimize their business operations. 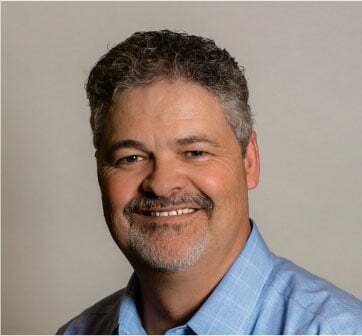 Always at the forefront of change in the organizations and teams he’s worked with, Chuck has extensive expertise, gained through various roles over 20+ years, as a line-of-business and technology executive, technology specialist, application development director, technology procurement negotiator, data center manager and project manager. Fundamental to his success has been working with great people and growing and developing members of his teams for future success in both business and technical leadership roles. Gord MacDonald is Daisy’s HR Leader. In this role, he leads HR strategy in building a strong corporate culture, as well as broad HR and people strategies in support of Daisy’s business vision and goals. His background and expertise has been working with leadership teams in scaling high-growth successful businesses (Gord likes building stuff!). Prior to Daisy, Gord held various HR leadership roles in high-growth organizations like Loyalty One and HRG Canada, among others. His leadership was instrumental in creating the vision and people strategies that were ultimately recognized as best in class workplaces. Gord’s value to Daisy includes his practical and diverse industry experience and understanding of human capital practices. These experiences, coupled with his ability to develop high-performance teams, helps enable business efficiencies and results. 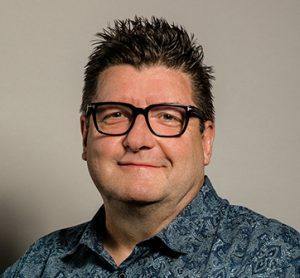 Gord holds a Bachelor of Administrative Studies from Concordia University in Montreal, and has earned both SPHR (Senior Professional HR, and GPHR (Global Professional HR). Sina is Daisy’s Director, Machine Learning & Software Development in Parallel Computing. He leads the research and development team focusing on four main areas of A) Big Data and Analytics, B) Artificial Intelligence/Machine learning C) Parallel processing and D) UI/Web development. Sina is passionate about scalable, high-performance A.I. and machine learning tools that can be used in production by customers around the world. He also worked as a team lead in cloud innovation lab of IBM, designing and implementing next-generation IBM next-generation data centre and infrastructures. Before that, he also worked on accelerating query processing time for IBM DB2-BLU using hardware accelerators like GPUs and FPGAs. He built a prototype that uses GPUs and could improve the performance of DB2 BLU by 2x on concurrent analytical workloads. Sina did his doctoral studies at computer science department of McGill University on the area of high-performance computing combined with artificial intelligence. He researched application of reinforcement learning for dynamic load balancing of parallel computers. Sina has also won the NSERC Postdoctoral award in 2011. He has also won the Best Innovation award at IBM for two consecutive years in 2014 and 2015. Lisa is a Senior Financial Executive and advisor with deep knowledge and experience in helping companies achieve strategic goals by solving complex business issues in both Canada and the US. She is currently the CFO of Nobul Corporation, the world’s only open digital marketplace connecting home buyers and sellers to the right real estate agent for them. Previously, Lisa was a Partner at PwC and advised clients through financing transactions, M&A transactions, enhancing financial reporting and internal controls, and the identification of risks and appropriate mitigation strategies. Lisa’s clients were in the Technology and Entertainment and Media industries and included both Venture and PE Backed, Private and Public companies. 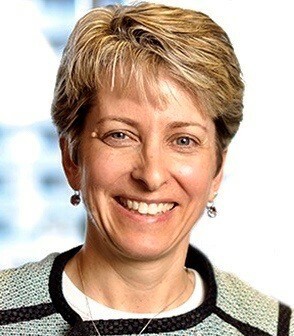 At PwC, Lisa held several leadership roles including co-Leader of the Digital Media Incentive Team, Canadian Learning & Education leader, and member of the Extended Audit Leadership team. Lisa is currently the Chair of the Resources & Audit Committee and Board member for the William Osler Health System, a group that holds 3 hospitals with a budget of approximately $700 million. She is also the Treasurer and Board member for Interactive Ontario, an organization that supports Interactive Digital Media companies based in Ontario. Previously Lisa was the Chair of the Audit Committee and Board member for the Canadian Cancer Society – Ontario Division. Pat has extensive executive management experience defining, implementing, monitoring and achieving strategic plans and objectives having been immersed in data mining, analytics and artificial intelligence technology management since 1992. Throughout a career as a technologist, management consultant and executive with 3 different enterprise software vendors, Pat has understood and advised organizations how to best leverage analytical insight and data driven strategy. Pat has worked extensively with business leaders in Financial Services, Retail, Telecommunications and Health Care on this topic. With the rapid progress underway in the A.I. space Pat no longer sees A.I. as an opportunity for business, but a critical necessity to adapt and adopt into their core business processes and strategic plans. His work has spanned the America’s and Europe. Pat received his Honours Bachelor of Business from Wilfrid Laurier University. 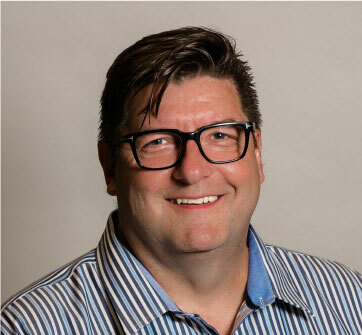 A former executive with Mattamy Homes, Palliser Furniture and Fidelity Investments, Paul launched his strategic services firm a decade ago working in organizational design, coaching, executive search and fractional HR services, specialized for private and family businesses. 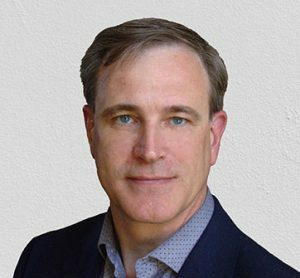 An ICD-certified director, Paul also serves as Vice Chair of WaterTAP (Ontario’s water tech accelerator), Governor at the University of Guelph, and Director of Home Ownership Alternatives (mortgage broker and developer). In addition, he acts as the Board Secretary for general contractor Maple Reinders Group and as Executive Director for OpenWorm Foundation, a global artificial intelligence enterprise. A former Board Director for health sector and charitable organizations, Paul has been a governance advisor to manufacturing firms and academic organizations as well instructing on Strategic Human Resource Management at Ryerson University. John has 30 years experience as a senior leader, innovator and investor in early stage technology companies. 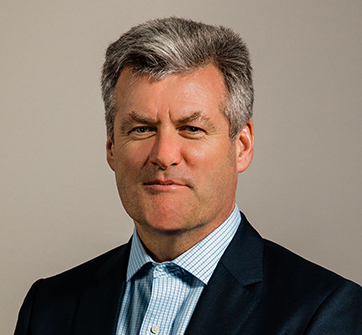 After a corporate career with Northern Telecom/Nortel Networks in the 1990’s, John co-founded several technology startups including the Teligence Group. His entrepreneurial spirit helped grow the business to 500 employees, $125+M in annual revenues, 40+ consecutive profitable quarters, and expand operations across North America, India and the Philippines. Teligence accolades included the Ernst and Young Entrepreneur of the Year award, BCTIA Technology Company of the Year and Purdue University Call Centre Excellence Award. John’s core strengths are in strategic planning, operational excellence and building strong teams that deliver undeniable business results. John is the recipient of the Top 40 under 40 award, an active member in Young Presidents Organization, an Honours Business Administration graduate from Wilfrid Laurier University and an annual attendee in the executive education program at Harvard University. Prior to founding Clariti Strategic Advisors, Rahul was an Operating Advisor with The Carlyle Group, a U.S. based global alternative asset manager with close to $200 billion of assets under management. Rahul was previously the Head of Growth (Emerging) Markets investment and corporate banking with BMO Capital Markets. From 2000 to 2008, Rahul was a was a senior executive and one of the top five named officers with Celestica Inc., a global leader in the delivery of end-to-end product lifecycle solutions within the electronics manufacturing industry. At Celestica, he initially devised and executed the non-organic growth and diversification strategy for the company, following which he took over full P&L responsibility and engineered a highly successful turn-around of the company’s multi billion-dollar Enterprise division. From 1989 to 1997 Rahul was a senior lawyer and partner with Davies, Ward & Beck (now Davies Ward Phillips & Vineberg), where his practice focused on M&A and corporate finance. In 1997, he was hired as a senior M&A professional by BMO Capital Markets, where he practised until his move to Celestica. Rahul has written and delivered several papers on derivative products and innovative financing techniques in mergers and acquisitions. He was nominated for Canada’s Top 40 Under 40 Award. Rahul has been a visiting professor at Queen’s University Law School, where he taught advanced corporate law and M&A, and has served as Policy Advisor to the Chairman and Executive Director of the Ontario Securities Commission. 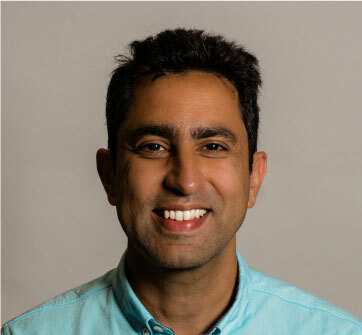 In addition to being on the Daisy board, Rahul serves on the board of Health Hub Patient Engagement Solutions Inc., a leading healthcare solutions provider. Rahul is actively involved with giving back to the community. He sits on the board of the Toronto Symphony Orchestra, as well as on its governance committee, and, for eight years, Rahul was a board member (Vice Chair) at Covenant House, a charity dedicated to the care of homeless youth, where he also chaired the governance committee. Rahul has an M.A. in Law from Cambridge University, England. François Vimard, CPA, CA, ICD.D is an independent corporate director. He currently sits as Chair of the audit committee and director of Andrew Peller Ltd., a public company listed on the TSX. Also, board member and past Chair of GS1 Canada, a none for profit organization responsible to establish standard in many industries. He was also a trustee of Crombie REIT from 2014 and 2017. Previous of his corporate director role, François spent more than 22 years at Sobeys/Empire ltd, the second largest food retailer in Canada. His last role at Empire was as Interim President and CEO. François spent most of his career in finance being the CFO of Sobeys/Empire Ltd from 2007 to 2016. He has a deep understanding of the retail business, having had the responsibility of technology and supply chain departments during his tenure at Sobeys. During that period, he was in charge of the National ERP implementation and overall business process optimization. He also led the implementation of state of the art automated warehousing technology. Mr. Vimard is a Chartered Professional Accountant. He earned his Bachelor of Business Administration degree and License in Accounting Sciences from Université Laval. He earned a certificate of the Executive program in Strategic Retail Management at Babson College in Boston, MA. He is also a member and graduate of the Institute of Corporate Directors.